Darksiders is a series that lives and dies by its gameplay. Combat, exploration, and puzzle-solving all make up this experience, much of which has been on display in Darksiders III previews. Gunfire Games Co-Founder David Adams,spoke to the Official PlayStation Magazine about just how much the developer is emphasizing gameplay in this entry. Darksiders is and has always been a video game. There’s still cool cutscenes and we have scenes around all of the Sins, and cool key story moments, but you’re not being bombarded by story – you’re running around fighting stuff and solving puzzles. That was a purposeful decision. During the interview, Adams also addressed the qualms players had with Darksiders II, particularly regarding the RPG elements. 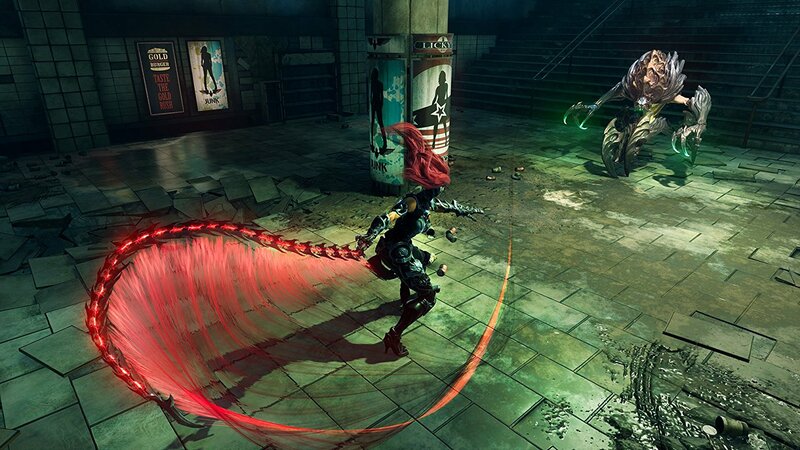 With Darksiders III, Gunfire Games aims to walk a fine line between conserving what players love and introducing new mechanics. When Darksiders II came out people were like, “What’s all this RPG crap doing in my Darksiders game?” You’ve got to take some risks or else the games become stale. But you’ve got to walk the line between risk and not completely betraying what makes the franchise what it is. Gunfire’s commitment to maintaining a semblance of familiarity, while trying something new, is notably evident in a recent gameplay walkthrough. The video may be short, running just shy of six minutes, but it shows off how the environmental puzzles have evolved. Darksiders III launches on November 27, 2018 on the PlayStation 4, Xbox One, and PC.